In the summer of 1927, Ernest Phipps and His Holiness Quartet, all members of the Free Holiness Pentecostal Church around Corbin, Kentucky, journeyed to Bristol, Tennessee, to record for Ralph Peer for the historical “Bristol Sessions”. These sessions were considered the “Big Bang” of real American Country Music recordings mostly because Jimmy Rodgers and The Carter Family,two of the most successful and influential early Country artists were discovered there. During these few days in in July and August 1927, Mr Peer recorded a large sample of vernacular music from the South, String bands,banjo players, singers and religious bands. Among the religious performers, the most exciting sound came from Phipps and His Holiness Quartet, who sang in the fervent and vigorous style of the Holiness Church, accompanied by string instruments and clapping. This type of religious performance evolved from “The Great Awakening”, when “American Protestant rebelled against Old World Puritanism ” and spread a new spirit of religious fervor and emotion, which lead to the foundation of new religious groups like the Pentecostal and Holiness Churches. Like in many african-american churches, the congregation was invited to sing and rejoice with all his heart and sometimes reach a kind of ecstatic experience through the process. Ernest Phipps and His Singers would record six sides in 1927 and six more the following year. 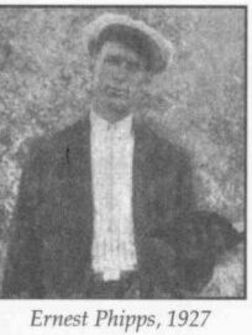 Apart from his preaching/singing occupations, Phipps was a coal miner. Born around 1900, he died in 1968. -For another great example of this type of religious music, I strongly recommend the singing of Brother Claude Ely. I discovered him on the superb box set “Goodbye Babylon” issued by Dust-To-Digital a few years ago and this label issued a biography book this last winter that includes a cd of his best performances. Some verses of “Shine on me”, sung on the Anthology by Ernest Phipps & His Holiness Singers come from of a 19th century hymn called “Maitland” by George N. Allen which was sung with the words of “Must Jesus Bear The Cross Alone”, a text by Thomas Sheperd. But the chorus (“Shine on me” ) comes from a popular african-american spiritual “Let the light from the lighthouse shine on me” that was recorded many times during the last century. Usually sung with increasing speed and volume, (hear Leadbelly’s and Blind Willie Johnson’s for example), it is a beautiful and powerful song, really leading to elevate the “spirit”! 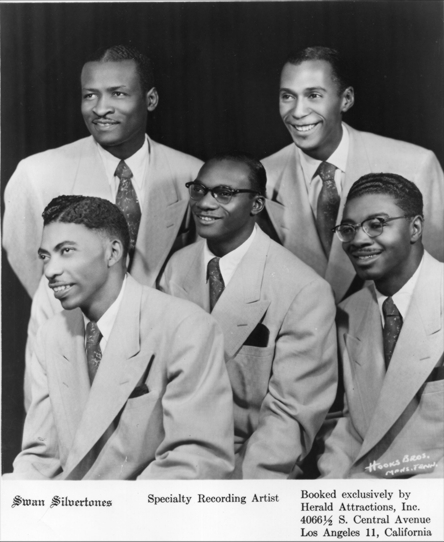 I’ve selected 10 versions of “Shine on me” that goes back to the early Gospel quartets of the 1920’s to the incredible harmony singing of the Gospel bands of the 1950’s, including some great guitar players/singers like Blind Willie Johnson, Leadbelly, Cliff Carlisle and Rev. Gary Davis. Having problems with the Shine On me file. I was unable to extract as well. Tried right clicking and opening with windows explorer and it worked.